Hi job seekers where ever you are. A very good earlier morning for all of you who still awaken or just wake up. First, I would like to say happy week end since now is Saturday, yeah! However, i have no holiday or week end because i have to update the latest and newest information regarding to jobs and open career as you need to start your right career path. Alright then, what do you have ? This might be your question for us, isnt'it? Hahaha, don't worry, we have a lot of jobs information that you need, just stay here and enjoy, guys! 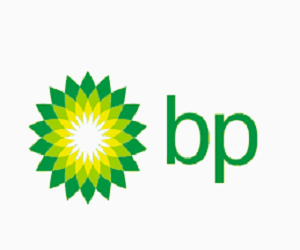 We start this morning by informing you a great opportunities in British Petroleum, shortly called bp. Yeah, this year bp Indonesia offers you many vacant positions that can be applied by all people around the globe and the vacancy I'd like to share is vacant jobs here, in bp Indonesia. Regional leadership for Quality Engineering. Lead the regional application of GOO Quality Engineering standards for GOO; support the development of GOO practices, procedures, guides. Manages regional activity for solution of Quality Engineering issues. Focus planning on: POQR, OMS 6.4.2, CI and NC processes, engineering self-verification, quality planning, quality requirements for GPO handover, GOO regional Quality SME. Act as key regional GOO Quality Engineering interface with discipline engineering and quality leaders. Lead the GOO regional response to Quality Engineering emerging issues. Ensures all materials, equipment and services shall have quality requirement to prevent defects imported to Operation. Responsible for technical and engineering side of quality assurance. Review, comments and give input related with Quality requirement for Engineering Documents (i.e. POQR, BP Procedures, data sheet, specifications and site requirement, government and international codes and standards). Responsible to review and verify inspection reports for all the Lifting and non-lifting equipment’s. Responsible to arrange quality Inspection activities for all equipment and parts prior to be mobilized to LNG Tangguh Site. Responsible to review all Inspector performance under BP QA/QC contract services. Good understanding and experience to develop quality requirement, Testing and Commissioning Procedure, Inspection Procedure for Mechanical, Electrical, Instrument and Control System. Input to the overall business framework for the technical sub functions. Initiate, develop and implement of Contract Services required within Reliability & Maintenance (R&M) Dept. Manage CAPEX procurement for Reliability & Maintenance (R&M) Dept. Contributing OPEX and CAPEX (WP&B) development and implementation for R&M Department . Prepare a contract spending report and distributed to related parties. Managing Performance Review to the Strategic and Core R&M Contracts: Mechanical, E&I, Support, Crane Lifting, Turbo Machineries. Manage CAPEX procurement and ensure the deliverable within the agreed time line or not to exit the deadline being agreed during budget approval. Minimum 3 years’ experience as Contract Engineer/Sales Engineer at Oil & Gas, petrochemical or other Energy Industries background will be preferred. The role holder will be responsible for Product and SKU Portfolio analysis and reporting and will also provide support to country teams on Product Line activities in A&P (Streamline Process and FUSION databases). The role will provide support to the OU and the country teams in A&P with standardised tools and processes for Marketing projects. While the job holder will report to the PMR Manager, the incumbent will need to work closely with the Programme manager on the Project management component of this role. The role will involve a high degree of influencing people across cross functional teams as well as marketing teams across Global, OU and Country. This role reports to PMR Manager and can be based in any of the A&P countries. • Provide hands on support where there are peaks in project activity. • Provide tracking and assurance on the status of major projects. • Take the Lead in application of global standards for label design for portfolio projects where required, working with Regional Suppliers and the Global Brand team. • There will be a requirement to work with regional team members in other functions to ensure they are aware of proposed changes, to enable successful change. This will include GLT, Supply Chain and Procurement. • Implement a systematic approach through the embedding of relevant OMS elements and ensuring appropriate risk reviews are undertaken appropriately. • Understand, embed within the team and fulfil agreed specific Product Quality & Compliance accountabilities which apply to the role, as part of the Auto Marketing role card. • Significant business experience in Marketing with a strong track record of delivery spanning operational and strategic roles. • Experience in product and project management. To ensure trading transactions and results are recorded, reported with integrity, transparency and in a timely manner; to deliver robust MI processes which support the IST performance; to act as the accounting focal point for IST business in Indonesia including the interface with other functions; to provide assurance and an independent view to PTJP management teams that control framework is in place and working properly. To establish good accounting policy and business process while ensuring an adequate control framework for IST and other segments operations; to provide direct support to IST and other segments using PTJP as their vehicle to do business in Indonesia. Major role in closing activities within SUN and FBW to ensure the correctness of expenses by managing the accruals, and producing the MI and BSI reports. Key role in statutory reporting by producing annual report to AGM meeting as well as report to Indonesian Investment board (BKPM). Main role in general accounting activities by maintain Account Analysis and the SPA of the assigned accounts such as: provisions, accruals, allowance for bad debts, etc. Key role in the invoicing activities regarding sales using LC, SBLC and BG, controlling and following the invoices status including monitoring the related gasoil deliveries. Producing regularly price calculations, updating LIBOR rate template, calculating interest on late payment and follow-up to get the review and approval from authorized person. Maintain fixed asset and pre-payment including manage the depreciations and amortizations. Ensure completeness and accuracy of documents from incoming cargo including managing the inventory accounts. Request the Mark to Market price (MTM) on WD 1 from IST Sing and adjust the ledger accordingly. Process the employee expense claims; ensure that all expenses claim is properly approved. Payments, recording and backup documents. Regarding Hydrocarbon accounting increase the control level by monitoring the accuracy of sales invoices produced and payments received from buyer. Produce invoices for demurrage, late payments penalty and sales invoice using LC/BG. Within SUN system, update forex rate regularly and open the new period in system for closing purposes. Assist Finance Manager to establish effective and efficient financial and internal controls and processes in trading and non-trading activities by providing control and follow-up report such as in FX hedging activities. Ensure compliance to IST and external standards (periodically Due Diligence process) in the provision of financial information for both IST and at the local level. Ensure HSE best practices are promoted within current roles and responsibilities. Degree in Accounting and/or Professional Accounting Qualification is required. Excellent knowledge of accounting and internal control framework. Strong analytical, financial control and accounting skills gained in Business Unit, Shared Services team or Corporate & Functions role. Strong understanding of Reporting and Finance analyst position, its role within the BP Group, and how finance and reporting processes and systems operate. Strong impact, interpersonal and communication skills with proven capability and ability to make a significant contribution to a management team while offering sound independent advice on finance and reporting matters. Ability to challenge, and influence effectively interfacing with staff from all disciplines. Strong business judgment in handling potentially sensitive financial and people issues. Ability to manage multiple/conflicting priorities with a strong track record of delivery. Please read the terms and conditions before you apply and we never guarantee that you apply a job through out this website you will be recruited. Another thing is that please be careful if you find some people or agencies who offer you position, jobs or career ops by giving some money. Thank you very much for visiting our website, hope you will get the best to start your career because your career path starts here. Subscribe our information by email or social media. 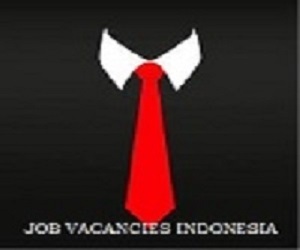 Belum ada tanggapan untuk "Jobs at BP Indonesia"